Nine foreign-language films were nominated for Best Picture. None succeeded, but their histories also suggest why "Roma" may be different. Alfonso Cuaron’s “Roma” has tied “Crouching Tiger, Hidden Dragon” with 10 Oscar nominations, the most ever for a non-English language contender. This comes on the heels of wins from the New York and Los Angeles critics’ groups, along with multiple guild nominations, and a best director Golden Globes award. What once looked like a streaming-service outlier is now a serious, if not leading, contender to win the industry’s top award. In the nine-decade history of the Academy, no foreign-language film has ever won. (“The Artist” was a French film, but it was silent.) Nine foreign-language films received five or more nominations among all categories (some — but not all — included Foreign Language Film). Of these, perhaps two — “Z” and “Crouching Tiger, Hidden Dragon” — had a legitimate shot at winning Best Picture. The ascension of “Roma” isn’t certain. It’s receiving limited theatrical play (approaching $3 million in the U.S. per our estimate, the best for any specialized subtitled film in recent years), and is streaming worldwide on Netflix — although that’s something that didn’t dissuade the Academy in its nominations. It is also a black-and-white film, a format that has seen only two Best Picture winners (“Schindler’s List” and “The Artist”) since 1960. We’ve looked back at the 90-year history of the Oscars and its arms’-length relationship with foreign-language films in major categories. What’s revealed is a steep and choppy path to success — but the path is there. The first foreign-language Best Picture nominee was Jean Renoir’s “Grand Illusion” in 1938; it was 30 years before there was another with “Z” in 1969. Its position as a contender stemmed from a confluence of good timing, topicality, and a new wrinkle in critics’ group judgments. Cinema V was a New York-based distributor, run by leading specialized exhibitor Don Rugoff, that found success maximizing unlikely non-studio films like surfing documentary “The Endless Summer” and Swedish romance “Elvira Madigan.” “Z” was a political thriller from little-known Greek director Costa-Gavras, based in France in exile from his country’s military dictators. Led by two French actors — the iconic Yves Montand and up-and-coming Jean-Louis Trintignant — it won two prizes at Cannes. Rugoff backed the big-city openings in December (at a time when late-year entries weren’t as common as today). He bet on its success by opening in multiple markets, with far more advertising than normally was spent for a foreign title. But what then boosted it was a change in rules by the New York Film Critics. The previous year, the more-traditional “The Lion in Winter” narrowly edged John Cassavetes’ “Faces” for best film. That led the group to expand its membership beyond newspaper-only voter to magazines, and also allowed non-English films to compete for the top prize. 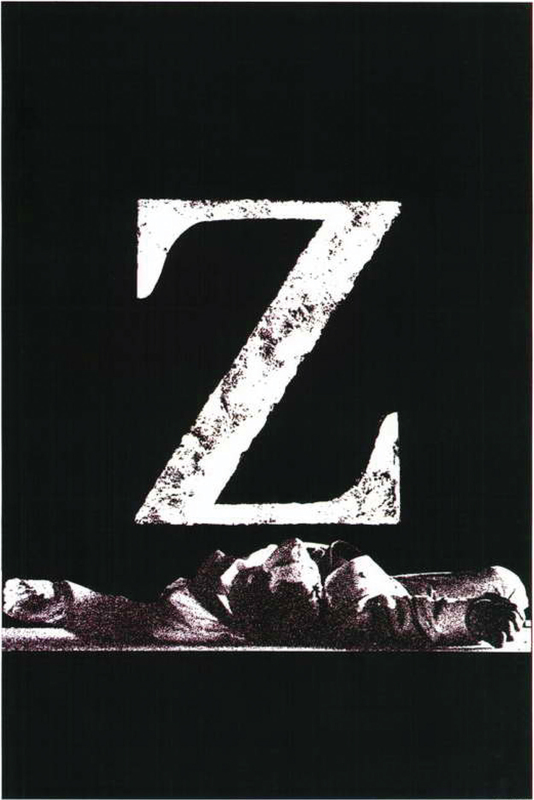 “Z” won top film from the New York Film Critics Circle, at a time when it was considered the most important prize other than the Oscar. Twelve of the its previous 15 selections went on to win the Oscar. The other leading critics’ group, the somewhat more highbrow National Society of Film Critics (only in its fourth year, always open to subtitled films), also chose “Z.” Roger Ebert, still in his 20s, named it as his best film, as did many other critics. Cinema V then hired a former Warner Bros. publicist with Oscar experience to spread the word and reach the right voters in Los Angeles. With nominations then coming out in mid-February, word of mouth to spread from an aggressive screening campaign. When nominations came out, “Z” had five – Picture, Director, Adapted Screenplay, Film Editing (then as now a key indicator of Best Picture legitimacy), and Foreign Language Film (as Algeria’s submission, not France’s, which got its own nomination). It was a year with no clear favorite. “Hello, Dolly” made it in as a last-gasp, year-end big-budget release; “Anne of the Thousand Days” led the nominations and swept the Golden Globes, but its history lesson focusing on Richard Burton’s performance with then-newcomer Genevieve Bujold seemed out of step with the times. “Butch Cassidy and the Sundance Kid” was a massive hit (the year’s biggest, in adjusted grosses, not far behind “Black Panther”) but somewhat lightweight for a Best Picture. “Midnight Cowboy,” grossed a little less than half as much (not quite $300 million in 2018 terms). That was a massive success, more so for an X-rated film (a broader designation in the code’s early days), but its content was seen as a potential problem. “Midnight Cowboy” came out in the summer and didn’t score key early prizes. With an open field, “Z” had a shot and an aggressive campaign. Ultimately, “Z” lost to Midnight Cowboy, which also won Director and Adapted Screenplay. “Z” won its certain Foreign Language award, but also Editing — the first time it went to a non-English language title. That suggests that members saw and appreciated the craft. Editing went to the Best Picture winner nine of the preceding 13 years, and the win suggested a new openness to films across the board. Cinema V took the opportunity and ran with it, ultimately grossing the equivalent of over $80 million (most of which came from dubbed English-language prints). Specialized companies noted that they now had a broader playing field. Over the next 30 years, only four subtitled films scored Best Picture nominations. Two were Swedish, both starring Liv Ullman — Jan Troell’s epic “The Emigrants” (released in the U.S. by Warner Brothers) and Ingmar Bergman’s “Cries and Whispers” (the first subtitled Cinematography winner); the other two were 1990s Miramax releases, “Il Postino” and “Life Is Beautiful.” The latter won Best Actor (only the second time for a lead performance not in English), Foreign Language Film, and Score. It never felt like a serious contender to win Best Picture, particularly with Miramax pushing for its own “Shakespeare in Love” (the upset winner) that year. Three years later brought “Crouching Tiger Hidden Dragon” from Ang Lee who, like Alfonso Cuaron, was a known American industry presence. It was a major commercial success with a domestic gross (adjusted) over $200 million. second only to the estimate for “La Dolce Vita” ($250 million) for subtitled films in the U.S.
Of the five nominees that year, two seemed longer shots with Steven Soderbergh’s “Erin Brockovich” and Miramax’s lightweight “Chocolat” (a case study of their Oscar magic). “Gladiator” was an even bigger hit at over $300 million (adjusted), and the kind of retro genre contender the Academy sometimes celebrates. Competing as a late-year specialized/crossover success was Soderbergh’s other film, “Traffic.” It won the New York Film Critics’ top prize, was a surprise audience success (ultimately also $200 million adjusted), and won the SAG Ensemble award as well as lead actor (Benicio Del Toro, who went on to win the supporting Oscar). “Crouching Tiger” set the record for subtitled films with 10 nominations. It received an aggressive and expensive campaign from Sony Pictures Classics, backed with the financial resources of their parent company. Its 10 nominations included five in craft branches, the most ever for a subtitled nominee. Today, we also have the preferential ballot for Best Picture, which can help a passionately supported film that also is regarded by most voters as Oscar worthy. Will that help “Roma?” And what impact will its streaming-weighted general audience viewing have? In the last decade, a French-produced black-and-white silent film managed to pull off this trick. If “The Artist” could win, the unprecedented can’t be ruled out.